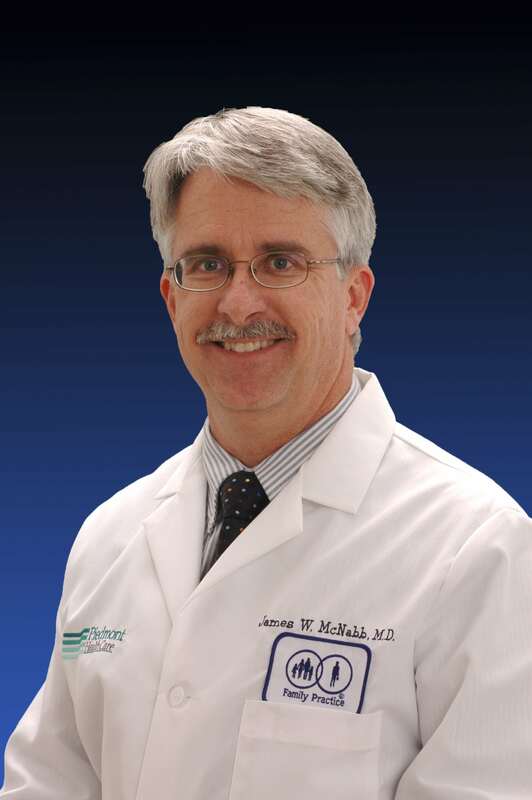 Dr. James McNabb is uniquely qualified to provide comprehensive medical care for you and your family. He is a board certified family physician and fellow of the American Academy of Family Physicians, with broad training and 30 years of experience providing and teaching Family Medicine. Dr. McNabb enjoys all aspects of medical practice including musculoskeletal medicine, aesthetic medicine, skin surgery, office procedures and providing longitudinal health care for generations of patients. Not only is he engaged in the full-time practice of family medicine, but he is a nationally recognized teacher and lecturer. Dr. McNabb is also an award-winning author of the acclaimed medical textbook – A Practical Guide to Joint and Soft Tissue Injections published by Wolters Kluwer Health – now in it’s 3rd edition. Our focus is to provide personalized, full-service primary medical care for all members of your family. We look to engage each person as an active participant in his or her own health through collaboration and shared decision-making. Our office serves as the center of our patient’s healthcare. Full Circle Family Medicine strives to be “Your Medical Home”. We also provide Internet-based encounters through our “ Online Housecall” option. PHC – Full Circle Family Medicine has earned NCQA Patient-Centered Medical Home (PCMH) Recognition for using evidence-based, patient-centered processes that focus on highly coordinated care and long‐term, participative relationships. The NCQA Patient-Centered Medical Home is a model of primary care that combines teamwork and information technology to improve care, improve patients’ experience of care and reduce costs. Medical homes foster ongoing partnerships between patients and their personal clinicians, instead of approaching care as the sum of episodic office visits. Each patient’s care is overseen by clinician-led care teams that coordinate treatment across the health care system. Research shows that medical homes can lead to higher quality and lower costs, and can improve patient and provider reported experiences of care. Synvisc injections for knee osteoarthritis. Dermatology procedures including skin biopsies, skin cancer surgeries, mole removals, skin laceration repair, minimal incision removal of cysts/lipomas, wart removal and cryosurgery of skin lesions using liquid nitrogen. SkinPen® treatment of fine lines and wrinkles. Dr. McNabb grew up in Hannibal, Missouri before moving to Florida in high school. He and his wife, Liz, have 3 children. Liz is a registered nurse and works in the office. She is an avid quilter. Ian graduated from Elon University with a degree in sports management and works as a technical recruiter in Charlotte. Bryce graduated from UNC-Chapel Hill as a communications major. He is gainfully employed as the COO of a marketing firm that specializes in documentary style videos in Durham. Caitlin graduated from Meredith College, works in Raleigh as a graphic designer and also has a business creating amazing calligraphy. During his “free time” Dr. McNabb enjoys visiting with friends & family, playing jazz trombone with The Lake Norman Big Band, exercising, and fly fishing. He and Liz are active members of Saint Mark’s Lutheran Church.